← Why the words can not be edited after converting the pdf file to PowerPoint by PDF to PowerPoint Converter? 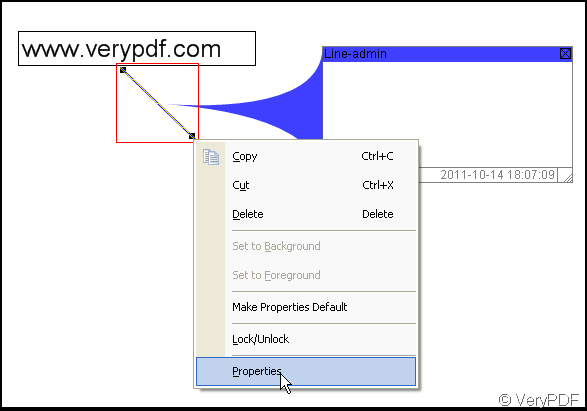 After the textbox is added to a pdf file by use of “verypdf pdf editor”, you can dress it up. Next is a textbox added to a pdf file. Circumstance 1: How to change the color? 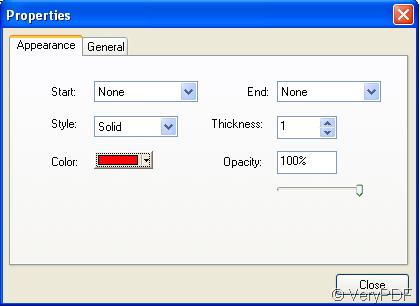 Right-click the line, choose “properties” then choose color options. you can choose color, when you change the color of the line, the “Line admin” is changed too. Circumstance 2: How to add an arrow on the line? 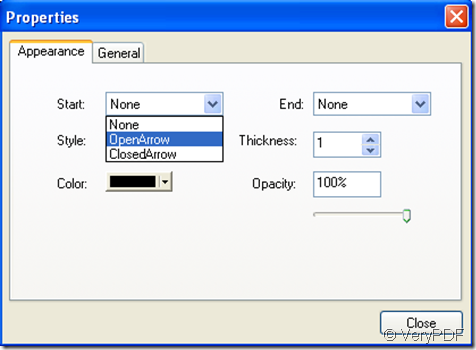 As Circumstance 1 make the dialog window open, in the window there are “start” and “end” options through which you can add an arrow on the line. 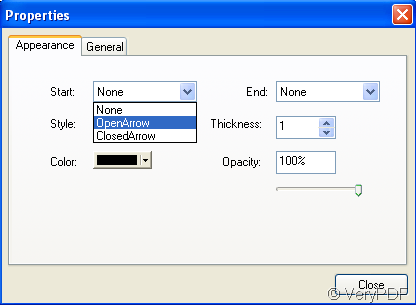 there are two kinds of arrows: OpenArrow and ClosedArrow, their shape is different. 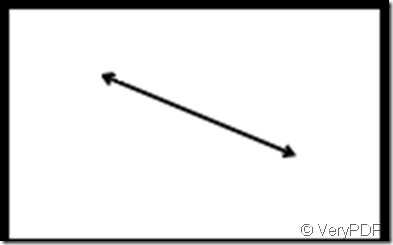 Circumstance 3: How to change the direction or the size of the line? You can rotate or pull the line, move the cursor into the area of the line, waiting for the change of the cursor’s shape. 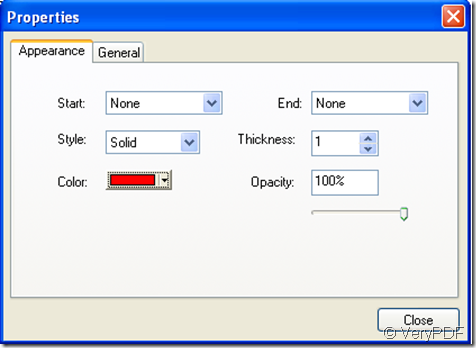 with the change of the cursor you can rotate or pull it to a desired direction and a desired size. This entry was posted in PDF Editor and tagged pdf line, pdf textbox. Bookmark the permalink.